Pursuing a Fairfax, VA bathroom remodeling project, as a homeowner, requires a higher level of vision and planning than when remodeling other rooms in your home. The bathroom is a unique room in the home, in that it must strike the perfect balance between comfort, aesthetics, and function. Finding this balance can be tricky, but Dirt Connection’s talented team is here to help. By taking the opportunity to update your bathroom with energy and water saving technologies during a bathroom remodel, you can drastically reduce your home’s energy and water consumption. Low-flow toilettes, shower heads, and faucets are simple ways to decrease water consumption in your home and lower utility bills. By turning your home green, you add a feature that is very attractive to potential homebuyers. 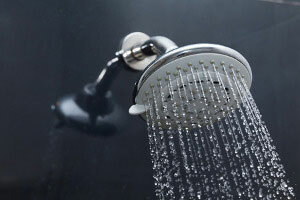 Updated bathrooms are one of the first things potential home buyers look for when choosing a new home. By updating your home’s bathrooms to the highest standards of luxury, practicality, and comfort you stand to attract a great deal more interest in your home should you put it on the market than you would have with outdated and boring bathroom fixtures. Also, should you decide to sell your home, your remodeled bathrooms will immediately provide a boost to your asking price. A Fairfax, VA bathroom remodel is a great opportunity to consider your home’s storage systems and organization. The bathroom is the perfect place to add compact storage for toiletries, towels, linens, and cleaning supplies that you may have run out of room for in other parts of your home. By increasing the luxury of your bathroom, you can bring the relaxation of a world-class spa to the comfort of your own home. The benefits of a new jacuzzi bathtub, sauna shower, bidet, or vanity will be obvious in your increased calmness on your morning commute, or better night’s sleep after a soak in your new tub. 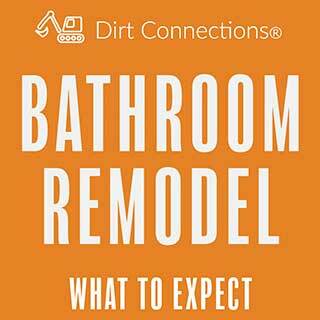 Dirt Connections’ team of experienced contractors are ready to assist you with your next home bathroom addition, renovation, or remodel. We offer a wide variety of expertise and services and can adjust to the demands of any project. Contact us today to find out how we can make your dream project a reality!